1941 School of Business established with Laurence J. Ackerman as Dean. 1947 First academic departments introduced – Accounting, Finance, Industrial Administration, Insurance, Law & Secretarial Studies, and Marketing. 1957 Evening MBA Program at the Hartford campus is offered. 1958 The School’s undergraduate program earns accreditation by AACSB International – the Association to Advance Collegiate Schools of Business. 1959 Real Estate studies are added to the curriculum. 1960 Full-Time MBA Program is launched and is only open to Air Force officers. 1963 Dean Ackerman retires and is succeeded by Dean Robert O. Harvey. 1964 Full-Time MBA Program opens to civilians. 1965 Center for Real Estate & Urban Economic Studies (CREUES) is established. 1967 First undergraduate internship program is established. 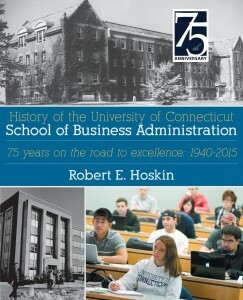 1968 Standardization of Storrs, Hartford & Stamford MBA Programs occurs. 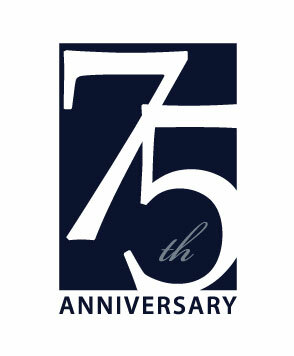 1971 All three MBA Programs earn accreditation by AACSB International. 1974 Dean Ronald J. Patten succeeds retiring Dean Harvey. 1979 Health Care Management is added as a specialization to the MBA Program. 1980 Connecticut Small Business Development Center (CSBDC) is established. 1981 Information Management becomes an academic department, spinning off from Management, and eventually becomes Operations & Information Management. 1982 Business Career Center is established through a grant from CIGNA. 1984 Thomas J. & Bette Wolff Program in Entrepreneurship is established. 1985 Both graduate and undergraduate Accounting Programs receive AACSB International accreditation. 1987 First students are admitted into the Ph.D. Program. 1988 Dean Patten retires and is succeeded by Dean David Kidwell. 1990 First students are admitted into the Executive MBA Program. 1992 Dean Kidwell resigns and is succeeded by Dean Thomas G. Gutteridge. 1993 School of Business Hall of Fame is established. 1994 The School’s first web site is established. 1995 The School is designated as one of 27 Centers for International Business Education & Research (CIBER) in the country. 1996 The first endowed chair is established – the Robert Cizik Chair in Manufacturing & Technology Management; the GE Capital Global Learning Center is established; the first Ackerman Scholars are named. 1997 UConn Downtown campus opens in the Travelers Education Center; the Connecticut Information Technology Institute (CITI) is established. 1998 New UConn Stamford campus opens its doors. 1999 The School breaks ground for a new state-of-the-art, $27 million learning and research facility; the Treibick Family Electronic Commerce Initiative Fund (TECI) is established. 2000 $1 million Student Managed Investment Fund is established; the Treibick Family Chair for CITI, the Gladstein Professor in Information Management and Innovation, and the Shenkman Family Chair in E-Business are established; WebCT is introduced in the School to enhance learning and facilitate online course delivery. 2001 The School opens the doors to its new home on Hillside Road; in partnership with GE, edgelab opens in Stamford providing 40 student internships; ING Center and the ING Chair in Financial Services established; Auran J. Fox Chair in E-Business is established; School completes and achieves the Kresge Challenge. 2002 BusinessWeek ranks UConn among the “Best B-Schools” in the country; Interim Dean CF Sirmans replaces Dean Gutteridge. 2003 William C. (Curt) Hunter is appointed Dean. 2004 UConn School of Business Graduate Business Learning Center and SS&C Technologies Financial Accelerator open in downtown Hartford; additional $1 million is added to the Student Managed Investment Fund. 2006 Interim Dean Mo Hussein replaces Dean Hunter. 2008 P. Christopher Earley is appointed Dean; ranked by BusinessWeek in Top 45. 2009 SCOPE learning accelerator launched. 2010 MS in Financial Risk Management is launched. 2011 MS in Business Analytics and Project Management is launched; undergraduate Program ranked in Top 25 by US News & World Report; Karla Fox appointed interim dean. 2013 Inaugural Geno Auriemma UConn Leadership Conference hosted. 2015 The MBA program is ranked among the Top 100 in the world by Financial Times; the MSA ranked #2 nationally by U.S. News. 2016 Business and Human Rights Initiative established. 2017 The Center for Advancing Business Analytics (CABA) is established; Graduate Business Learning Center adds 2 additional floors to accommodate substantial enrollment growth; greater Hartford undergraduate program relocates from West Hartford to the refurbished Hartford Times Building creating the new Hartford campus.